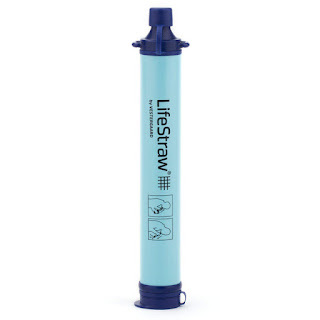 Through July 17th, hurry on over to Amazon.com where Prime members only can snag this highly rated LifeStraw Personal Water Filter for just $9.99 shipped (Retail $24.95)! A Time Magazine Invention of the Year winner, this personal water filter contains no chemicals, no batteries and no moving parts to wear out. It is ideal for purifying water from streams, lakes, ponds and other contaminated sources and the microbiological filter will provide 1,000 gallons of clean and safe drinking water with proper use and maintenance! And for each LifeStraw purchased, one child in a developing community receives safe drinking water for an entire school year!